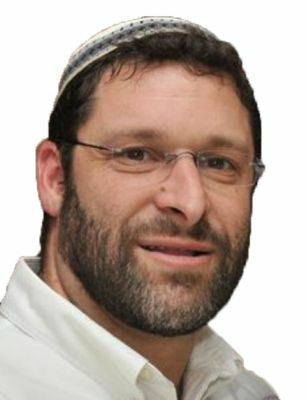 With profound sadness Yeshivat Netiv Aryeh regrets to inform you of the passing of our dear alumnus and former staff member Ari Yoel zk"l ben Yona amu"sh, Rav Ari Fuld (5752) Hashem Yikom Damo, who was killed today Al Kiddush Sheim Shamayim protecting his fellow Jews. Rav Ari died as he lived, defending Klal Yisrael. A Gibor in Ahavat Yisrael, Ahavat Torah, Ahavat Ha'Aretz, and Yirat Shamayim. Besides serving with distinction in the Israeli defense forces, Ari taught self-defense to hundreds. He was prolific in his relentless defense of Torah ideals and the State of Israel on the web and through the media, including a weekly televised panel where he routinely dismantled the arguments of our enemies. Rav Ari has maintained a close relationship to the Yeshiva for over a quarter of a century. He never missed Rav Bina's Thursday night Ohr Hachaim Shiur and singing Ka' Echsof afterwards. Rav Ari periodically addressed our talmidim, and just last Yom Hazikaron he guided us in Har Herzl speaking about his brothers who fell in battle protecting us. Who would think that so soon afterwards we would be talking about him in the same way. Hamakom Yenachem Etchem B'toch Sha'ar Aveilei Tzion V'Yerushalayim. Assignment should be completed bli neder by 16 Heshvan 5779 (Thursday, October 25, 2018) sundown.